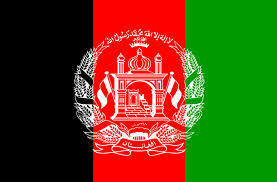 Afghanistan | Hayat Alvi, Ph.D. This week the news media buzzed about the Afghan government’s announcement that the Taliban’s long time leader Mullah Omar died from illness. In fact, some sources claim that he had died in 2013. There are conflicting reports about whether he died in Afghanistan or in a hospital in Karachi, Pakistan. Of course, Pakistan is denying the latter version. If true, then that would be yet another huge embarrassment for Pakistan, following the discovery of Osama bin Laden in Abbottabad and the U.S. targeted assassination of the Al Qaeda leader. The timing of announcing Mullah Omar’s death, and the internal wrangling among senior Taliban leaders that followed the announcement, are all very telling. First, it begs the question: Is this a major intelligence failure? Or, have world powers including the U.S. been aware of Mullah Omar’s demise in 2013? If so, then why keep it a secret for so long? Second, why should Pakistan’s denials be taken at face value, given the bin Laden legacy? Third, who leaked this news about his death? Fourth, no doubt the source of the leak is aware of the fragility of the current Afghan-Taliban peace talks taking place. Does that mean the leak is intended to derail the so-called peace talks? Fifth, Mullah Omar’s successor, Mullah Akhtar Mansour, a close confidant to Mullah Omar, is also very close to the Haqqani Network, which the U.S. considers a dangerous terrorist organization, and frequently targets its leadership with drone strikes. In fact, Siraj Haqqani has been appointed as Mullah Mansour’s deputy, which is a major chess move. The situation in the Af-Pak region is extremely complicated, and it’s only getting worse with the changing dynamics and configurations involving a mindboggling number of militias, warlords, religious extremists and militants, drug traffickers, criminal elements, and corrupt officials. And now thrown into the mix we have, supposedly, an ISIS cell opening shop there too. Hence, what we see on the surface is much more complex underneath. 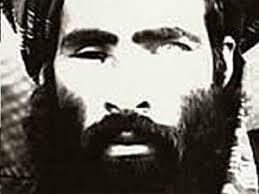 Mullah Omar’s death and the belated announcement is not only the tip of the iceberg; it’s a symptom of the massive and violent glaciers and fault-lines that lie underneath, ready to explode or implode at any moment. 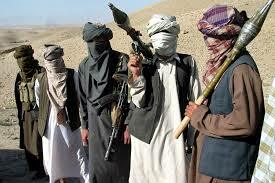 Consider the internal dynamics of the Afghan Taliban. According to the BBC News, Mullah Mansour’s appointment as the new Taliban leader did not come from consensus, which means that the Taliban are very divided. A Taliban faction prefers Mullah Omar’s son, Yaqub, to take his father’s mantle. Sounds familiar, no? That echoes the split between Sunnis and Shias that happened some 1400 years ago. 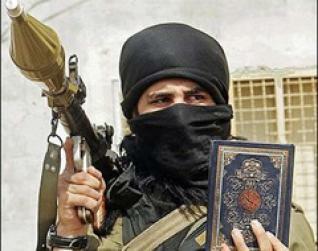 The patterns and trends that drive schisms within Islamic extremist groups never grow old. Mullah Mansour favors the peace talks with the Afghan government. Not all Taliban members agree with this move. And, interestingly, unlike Mullah Omar who held the title “Emir al-Mu’mineen” (“Commander of the Faithful,” a very important appellation in Islamic history), Mullah Mansour is called the “Supreme Leader.” To make matters more confusing, Iran’s Ayatollah Khamene’i bears the title Supreme Leader, and the head of ISIS, Abu Bakr al-Baghdadi calls himself Emir al-Mu’mineen. Competition among Islamic militant/terrorist groups is fierce, clearly both between and within them. However, while this configuration might seem ideal for the divide-and-conquer strategy that many governments employ, we should not be fooled to think, for a moment, that this is the end of the Taliban. They will regroup, they might have break-off factions appear here and there, but in general the Taliban are not going anywhere in the Af-Pak region. If anything, the fact that the Afghan government is engaging in peace talks with the Taliban indicates that they are a force and entity to contend with, warts and all. Oh, and one more thing about Mullah Mansour, during the Taliban reign in the mid-1990s, he was actively serving as a minister in the Taliban government, and, according to BBC News, “he had an active role in drug trafficking” (“Mullah Omar: Taliban choose deputy Mansour as successor ,”BBC News, July 30, 2015). 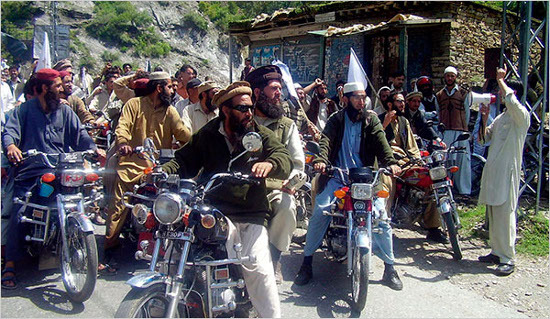 The playing field for the variety of militants and warlords in the Af-Pak region has only expanded in recent years. The Taliban recognize their competition – both internal and external – yet they remain active in carrying out violent attacks in both Afghanistan and Pakistan. Also, Mullah Mansour is shrewdly allied with the Haqqani network, which could be highly beneficial for both. “SIGAR has issued two audit reports that highlight the challenges the United States faces in gathering reliable information about the total size of the ANSF, reported as of February 20, 2015, to number 328,805 personnel. A new SIGAR audit of the Afghan National Army’s (ANA) personnel and payroll data, as well as one released in January of the Afghan National Police’s (ANP) personnel and payroll data, found no assurance that these data are accurate. … Numbers provide a basis for budgeting and planning—including planning the pace of U.S. and other Coalition forces’ drawdown from Afghanistan. There is much hope and support pinned on Afghan President Ashraf Ghani to turn the security situation around, which would allow U.S. and Coalition troops to draw down significantly. In that spirit, President Ghani has conveyed a message to the Taliban. He is quoted as saying, “The Taliban need to choose not to be al Qaeda, and be Afghan.” For now, Mullah Omar’s death announcement has thrown a wrench into that process, while countless other ominous militant groups wait in the wings. Don’t hold your breath. Hayat Alvi, Ph.D., is an Associate Professor in National Security Affairs. “Yes, we must finish them off.” This was the response when someone from one of the Gulf Arab countries (to remain nameless) was asked about going after (i.e., killing) Shias following Bashar al-Assad’s fall in Syria. I have predicted a Shia massacre, I even called it a genocide, in a post-Assad Syria. This quote only confirms my fears and suspicions. Twenty-four hours after I heard this quote the vicious killings of mainly Hazara Shias in Pakistan took place in Quetta. Ongoing violence in Iraq continues to target Shias there, and the Sunni-Shia hatred and violence in Syria has already spilled over into Lebanon, where they tortured and slaughtered each other with relish during the civil war (1975-1990). Ironically, it is the majority Sunnis in the Middle East, especially in the Persian Gulf region, and parts of South Asia who sing the victim songs about how Iran is trying to “spread its ideology” and subjugate them all. There is no denying that upon Ayatollah Khomeini coming to power in the 1979 revolution, one of his expressed priorities was to spread the Islamic revolution throughout the region. However, given the fact that the vast majority of the regional demographics consists of Sunnis – with exceptions in Iraq and Bahrain – the fear of the successful spread of Twelver Shia ideology is unsubstantiated and grossly overblown. And the regional actors know this. Yet, they continue to fan the flames of sectarian hatred and fear. I have come across numerous Sunnis from the Gulf region who don’t hesitate to judge Shias as “non-believers,” or “non-Muslims.” Surely they have their counterparts among Shias, but Shias are greatly outnumbered, and in fact in Sunni majority countries they face increasing discrimination, prejudice, and even violence, not unlike many Christians in the Middle East and Hindus, Bahais, Ahmadis, and a host of other minority groups in Pakistan. We must add girls and women too, but gender violence is a whole other can of worms. I predict that persistent gender violence will trigger the true downfall of these regions, if they don’t get their acts together to protect girls and women. But, that topic is for another article. As much as we can try to attribute the recent attacks in Pakistan to what’s to come with US troop withdrawal in Afghanistan, the fact is that systematic targeting of Shias has been going on for a long time now. 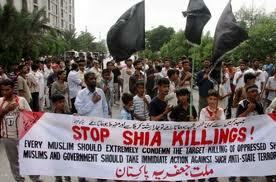 Many refer to it as the “Shia Genocide,” and there is basis for this term. Just look at the number of deaths and injuries, and frequency of attacks, which have been rising steadily in recent years. The Pakistani government is unable (and unwilling?) to enforce law and order in general, let alone pertaining to sectarian massacres. It seems not only helpless, but also oblivious in many ways, and that will be to Pakistan’s detriment, as if matters can get any worse. And, with Pakistan, it’s not just the internal violence that is sucking the country into its own self-constructed black hole, but it seems the military is itching for a fight with India again with the border skirmishes in Kashmir’s LOC. There is a real potential in the coming months and maybe year or so for the Pakistani military to step in completely and carry out yet another coup, especially now that the US will be less active in the region. If things get even uglier with the Indo-Pak skirmishes, the Pakistani military just might see that as an opportunity to make its move on the Zardari government. Let’s see what happens. My predictions are not always right, but who knows what’s around the corner for the Af-Pak region? The outlook for these regions is grim, especially given that law enforcement cannot provide basic security for the general public. Plus, rule of law practically does not exist, and if it does, it’s usually in favor of the wealthy and powerful elite. Meanwhile, the bloodshed continues with impunity. While I in no way support the brutal Iranian regime (which also viciously represses its own minority groups), as a political scientist, I can assess that, with all these targeted Shia killings proliferating in the Middle East and Pakistan, and the inevitable fall of Bashar al-Assad in Syria (Iran’s only strong ally in the region), the clerics in Tehran can only see more reason to weaponize their nuclear program. Ominously, that will result in a domino effect with the rest of the region acquiring the same nuclear status. That is for certain. Then, we will witness the Sunni-Shia rivalry armed with nuclear weapons. That is one very scary thought. But, since the regional governments do nothing to prevent the sectarian bloodshed now, that is the outlook we can expect in the future. The governments in these regions need to wake up to these dark realities. They are so preoccupied with their own prejudices and self-interests, but this is truly at the expense of the masses. Nothing can be gained from all the violence at the hands of militants, regardless of their sectarian identities and ideological orientations. The other open secret that everyone sees, but has not received due attention, is that most of the militants in these regions are hard-core Sunni extremists. With all the fear mongering about Iran spreading its ideology, the majority of violent acts being carried out from North Africa, in the Middle East proper, and in Pakistan, Afghanistan, and Kashmir are at the hands of Sunni militants, primarily espousing some form of Salafism, and many of whom, if not most, are supported financially by the Saudis. When we peel back the layers of political, military/security, financial, and other variables in this scenario, we see that at the core of it all is the Sunni-Shia rivalry (i.e., Saudi versus Iran). These militants have many other motivations and agendas as well, but one of the main priorities they embrace is to “cleanse” their societies of Shias and other minority groups. The Taliban committed horrendous Shia massacres during their rule in Afghanistan. This is nothing new. The only thing that is new and alarming is the militant Sunni juggernaut sweeping across these regions unchallenged.